* Groups of members may request to have the Wardroom Upper Lounge bar open in the evening by contacting Megan Ilott no later than 7 days prior to the requested date. Subject to bartender availability. To reserve a room, see the links on the right hand side of the Contact Us page. The Officers' Mess (Wardroom) is 5km from downtown Victoria, conveniently located in the heart of CFB Esquimalt. A 20-minute drive, or bus ride (most common bus is #15). The street address is 1586 Esquimalt Road. The Officers' Mess (Gunroom) is 4km from downtown Victoria. A 15-minute drive, or bus ride (most common bus is #25). The street address is 1367 Victoria View Road. To embody the traditions and ethos of the Canadian Armed Forces and Officer Corps and elicit camaraderie among Officers, their families, and guests within the Maritime Forces Pacific area. To promote esprit de corps and comradeship by providing entertainment, services and amenities in a welcoming environment to all members, their families, and guests. 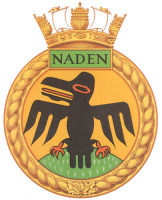 The Wardroom and Gunroom will foster the traditions of the Canadian Armed Forces, in particular the customs and traditions of the Royal Canadian Navy. To provide an inviting and relaxing facility; maintain and teach the traditions and customs of the Canadian Armed Forces and Royal Canadian Navy; provide affordable, quality events for the entertainment of members; and provide a suitable facility to host official functions.